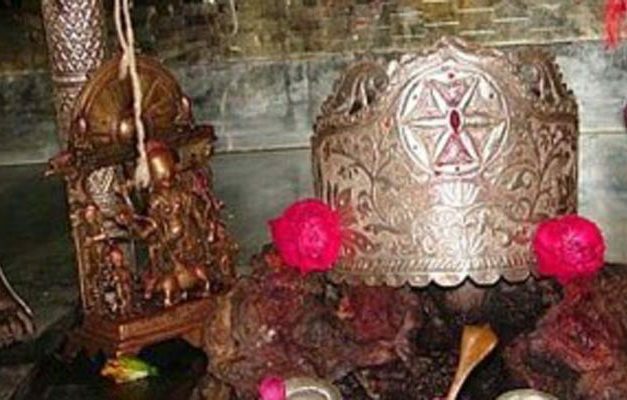 Here is Some Information about Simsa Maknown as Santandatri or Sharda Temple where childless women Get Child Prayer this temple in Simas Himachal Pradesh. Simsa Ma temple is located at Simas village near Mandi district in Himachal Pradesh.The temple is dedicated to Goddessh Simsa.The temple is also known as Santan Datri and Ma Sharda.Faith is best exemplified at the altar of Maa Simsa Devi, where childless women come with prayers on their lips and hope in their heart.During the ‘Navratri festival' it is a heart-rending sight to see women sleeping on the floor of the temple, for the blessings of Maa Simsa to have a child! The ancestors say that if a woman comes with a pure heart to the temple of Maa Simsa and sleeps day and night in the temple, give up from food and feasts, then she has a dream—dream about either fruits that indicates the blessing of a child. 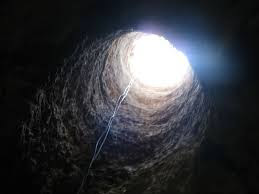 Strange but true if one hears countless accounts of women bestowed with kids after this experience. It is not that every woman is bestowed with a child but there are some cases where women don’t dream of fruits etc. In such cases the woman has to leave the temple. 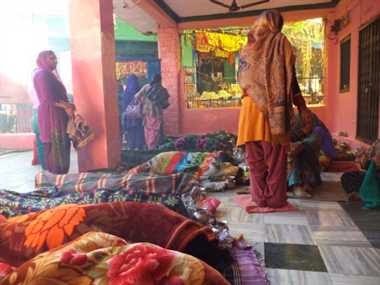 It is said that if a woman doesn’t leave the temple in spite of having a dream where her remaining childless is hinted at, she develops red patches on her body that itch a lot and the poor woman has to leave the bed.The temple is full of devotees some coming to seek boons and some others to pay their gratitude. 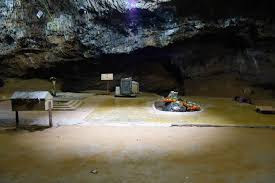 The faith of the people, thronging the temple from far and wide, speaks a lot about the power of the unknown that still make us wonder struck at the wonders of the nature. 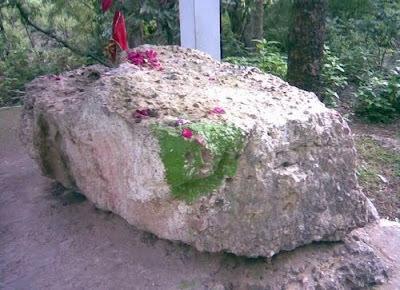 This stone is very Prsid Simsa Mata temple. If the stone does not have to move and shake with both hands the little finger of your hand, it will move. By Air: The Nearest Airport is Gaggal Airport. 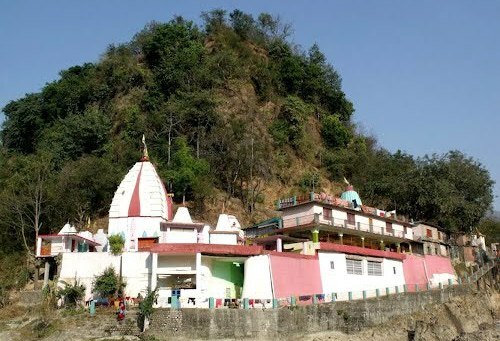 By Rail: The Nearest Railway station is Baijnath 25 KM from the temple. 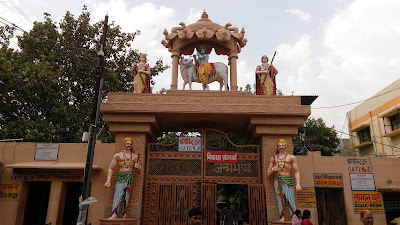 Govardhan Hill is situated some 20 km west of Mathura. 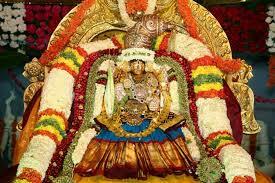 It is one of the most frequently visited places in Vraja-mandala. 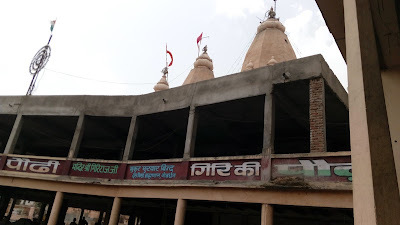 It is not surprising because from the time of Sri Krisna's pastimes 5000 years ago, only three things remained as they were: dust of Vrindavan, Yamuna River and Govardhan Hill.Here is Shri Giriraj ji Maharaj Temple in Giriraj Mountain on Goverdhan Hill near Mathura. 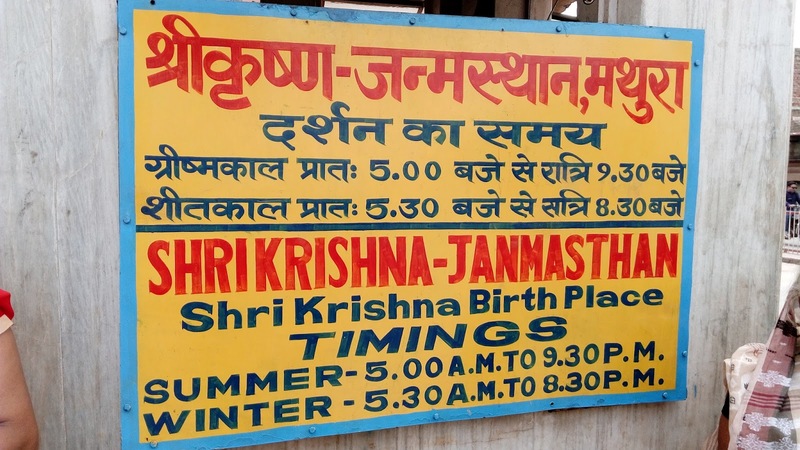 Temple Timing: 5:30 AM to 12:00 PM and 4:00 PM to 9:30 PM. 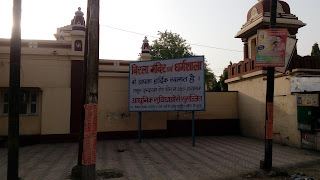 Shri Giriraj ji Maharaj Temple is located at Giriraj Mountain Govardhan Hill of 21 Km far Lord Krishna's Birth City Mathura in Uttar Pradesh.The temple is dedicated to LOrd Krishna known as Giriraj ji.Popular as a famous place for Hindu pilgrimage, Govardhan Parvat is a narrow sandstone hill, which is 8 km in length. 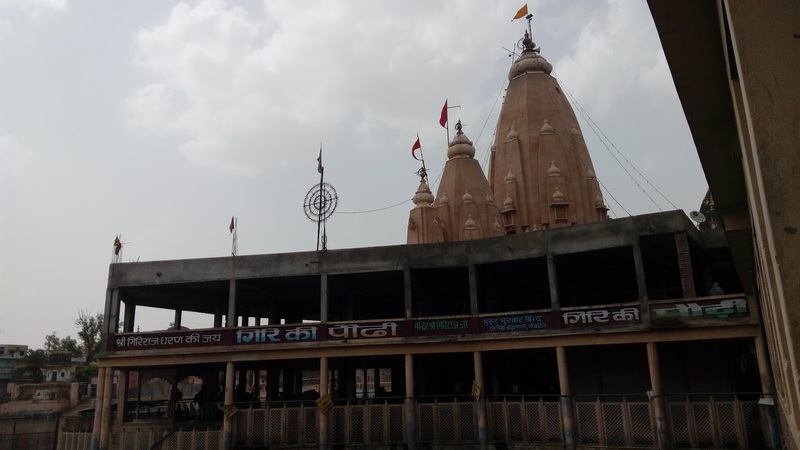 It is said that Lord Krishna held Govardhan Hill on his little finger to save the town from wrath of the god of rains Indra. The story goes like this, All the gwals (people who take care of Cows) and farmers used to worship God Indra (Hindu God of Rain), for the proper rainfall of the season. This was a age long practice going on in Brij area. One day Krishna as a child challenged this practice and argued that it is Indra's duty to give rain whether or not you offer him prayers. Krishna said instead we should worship Goverdhan, who is providing us the water and fodder for the survival of cattle. 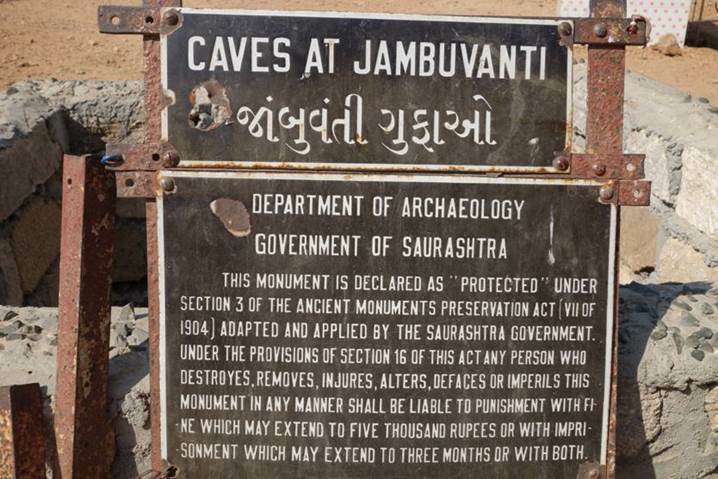 Gwals agreed on this and offered worship to Goverdhan instead of Indra. On this Indra got angry and ordered his furious clouds to burst on Brij and destroy it with rain and flood. 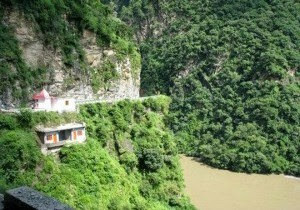 As the rain got heavy all Gwals planned to leave the Brij Area; Krishna said that why should we leave when Goverdhan is here. 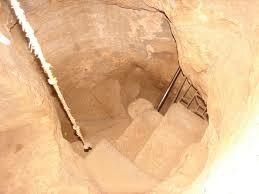 Krishna through his leela lifted the Goverdhan hill only on his index finger. 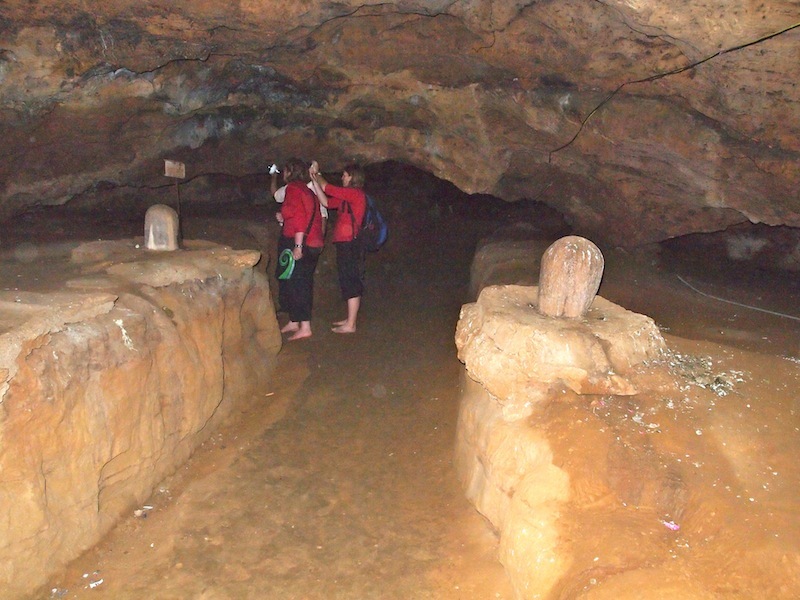 All the living organisms of Brij area were sheltered under it. This rain continued for 7 days till all the clouds of Indra were emptied; Indra's pride was destroyed and he agreed that till Shri Goverdhan is there no one can do bad in Brij area. 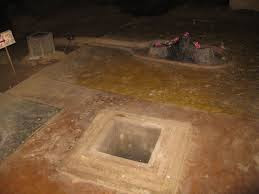 From that day onwards Goverdhan hill is worshiped and prayed as Lord Krishna himself . From this leela onwards Krishna got name 'Goverdhan-dhari' (one who beholds Goverdhan) and 'Indradaman' (one who broke the pride of Indra). 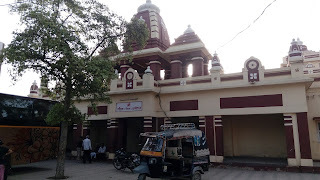 By Rail: The Nearest Railway Station is Mathura Junction Railway station. (25 Km). 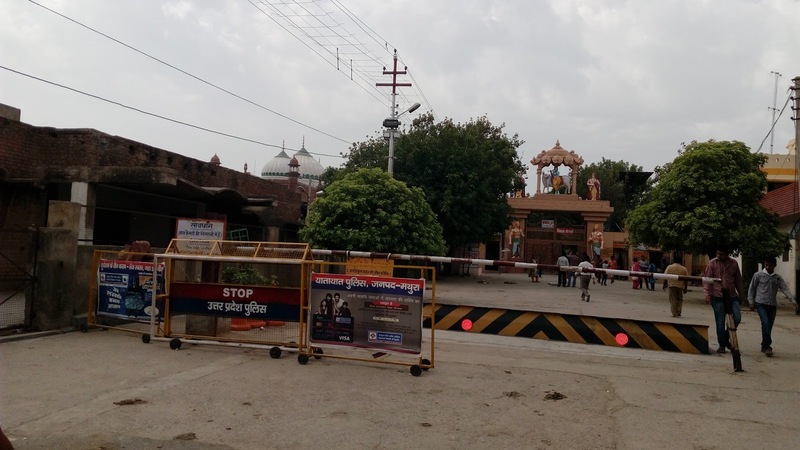 By Road: There are many public and private vehicles available to reach Shri Giriraj ji Maharaj Temple Govardhan Hill. Vellore is popularly known as the Fort City of Tamil Nadu.Near Vellore a most popular Sripuram Golden Mahalaxmi Temple was constructed by Sri Narayani Peedam and built with pure gold is one of the most famous temple of tamil nadu.Here is Some Information about Sripuram Laxmi Narayani Golden Temple known as Sauth India's Golden Temple. Nearest Airport: Bangalore and Chennai Airports. Sripuram Laxmi Narayani Temple is located 8 kilometers far from old bus stand of Vellore in Tamil Nadu states of India.The temple was built in 24 August 2007 and built by Sri Narayani Peeda.The temple is dedicated to Goddesh Laxmi Narayani.The Vellore Golden Temple is managed by Guru Sakthi Amma and it is covered 55,000 sq ft on spread about 100 acres of land. 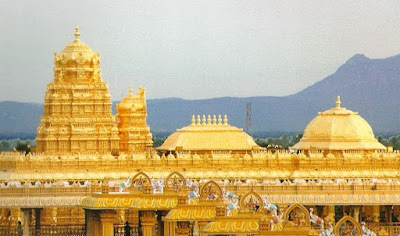 Approximately 1500 Kilograms of Gold and have total cost of about Three hundred crore or Sixty five million US Dollar is used to build the temple. Devotees hail the temple as 'one of the wonders of the world' and say that it is the only temple covered fully with gold. The temple took six years to complate the construction of the temple.about four hundred gold andcopper smiths came over from Tirupathi Thirumala Devasthanam and showed their deftness and art.About twelve layers of gold foils have been pasted on copper sheets embossed with the designs of Gods and fixed on the walls.The whole interior of the temple has been constructed with pure gold. 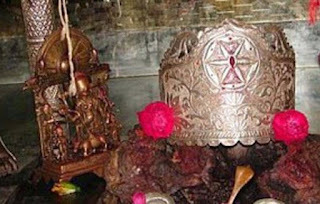 The deity of Mahalakshmi is made up granite and placed in the sanctum sanctorm of Sripuram or spiritual park.The temple is known as as South India’s Golden temple and it is second golden temple in India after Amritsar. Dress Code of Darshan: Any decent outfit is allowed, it can be ethnic wear, normal pant and shirt.Not to wear short pants, lungies, midi and Barmudas. 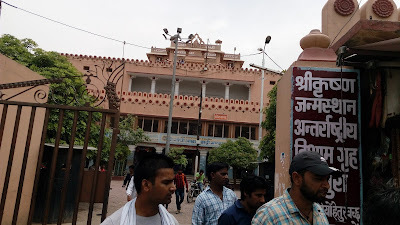 The temple campus has hotel, hospital, orphans. Rooms are fairly clean. Charges : Non AC ( Rs. 500/- )for 2 persons (additional bed- 150/-), AC – Rs. 750/- for 2 persons (additional bed- 200/-) . Maximum persons allowed 3 only in a room. By Rail: The Nearest Railway station is Katpadi Railway Station (12 km). 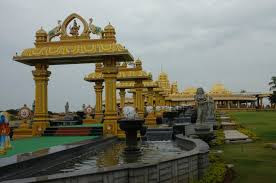 By Road : There are many public and private vehicles available to reach Sripuram Laxmi Narayani Golden Temple Vellore Tamil Nadu.There are many buses run from Bangalore, Chennai, Tirupati and some other main cities. Birla Temples spread out across India, this one at Mathura - known as "Gita Mandir Temple" too gives a more or less similar appearance as other Birla Temples and reminds one of familiarity, But there are two notable structures here Birla Temple Known as and Famous of Gita Manir.Here is Some Information about Birla Temple or Gita MAndir in Mathura Uttar Pradesh India. 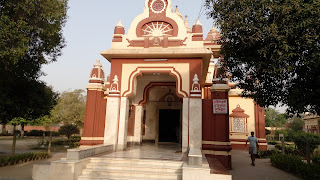 Birla Temple or Gita Mandir is located Vrindavan Mathura Road in Mathura.The temple was built in 1946 and built by Jugal Kishor Burla of Birla Family.The temple is dedicated to Lord Radhe Krishna.Gita Mandir features inscriptions of the holy book in and around the surroundings of the temple. 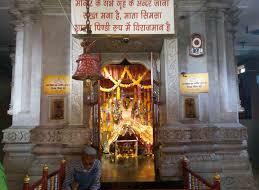 A magnificent idol of Lord Krishna is housed in this temple along with Lakshmi Narayana, Ram and Sita. There is a red pillar in the garden on which the entire Bhagavad Gita has been inscribed. 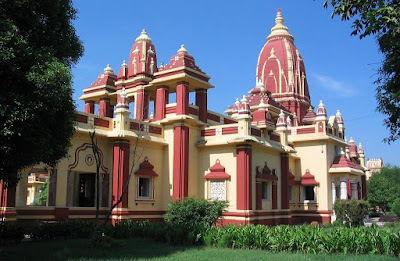 The excellent architecture of the temple attracts tourists from all over world.Birla temple or Gita Mandir has breathtaking architecture accompanied with beautiful carvings and paintings that add to the beauty of this temple.Archeologists have inscribed the text of Hindu Holy Scripture ‘Shrimad Bhagavad Gita’ on the walls of this temple. Beautiful carvings and paintings enhance the beauty of the temple. 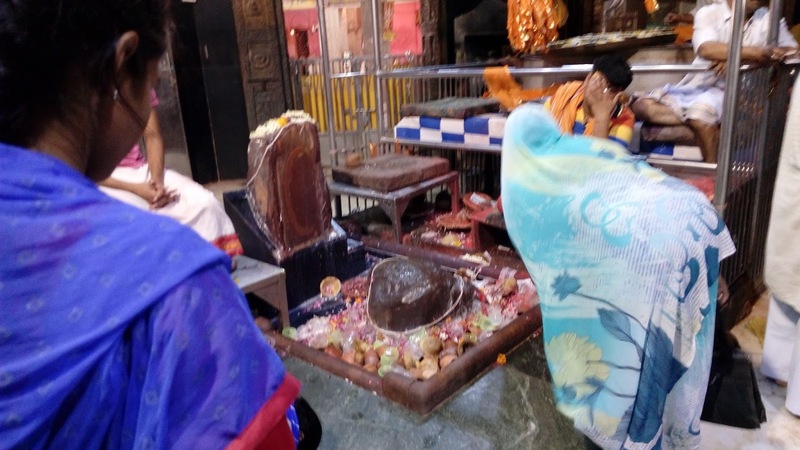 There is a beautiful image of Lord Krishna is present in the sanctum of the temple.The temple also features the Gita Stambh and is extensively decorated on the auspicious occasion of Janmasthami and Holi. Birla temple has its own Guest house. It provide Ac rooms and non ac rooms. 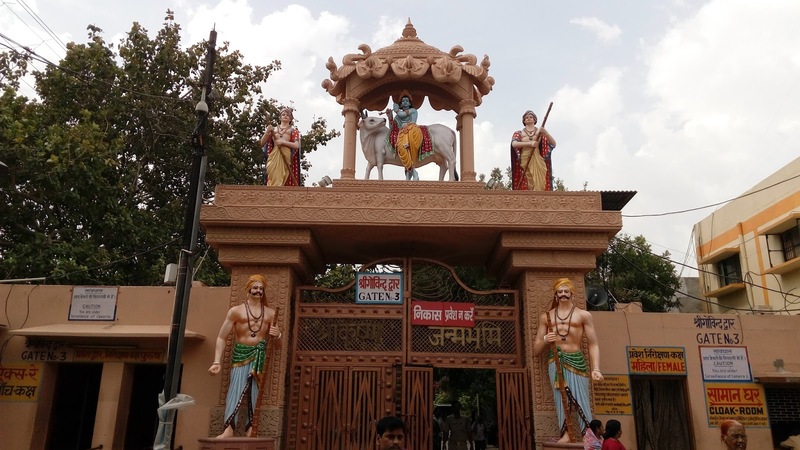 By Road: There are many public and private vehicles available to reach Birla or Gita temple in Mathura.You can a private taxis or can also travel in a bus and private coach that carry passengers to Gita or Birla temple. By Rail: The Nearest Railway station is Mathura Junction Railway station. 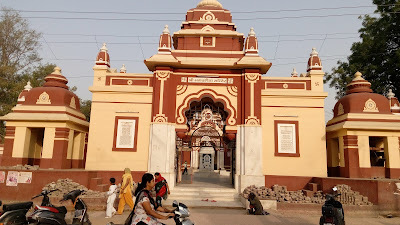 Jama mosque is a popular place of worship of the Muslims of the region People.Jama mosque is very famous for its architectural style and intricate carvings.Jama mosque is one of the best historical place of Hart City Mathura.Here is Some Information about Jama Mosque or Jama Masjid in Mathura Uttar Pradesh India. 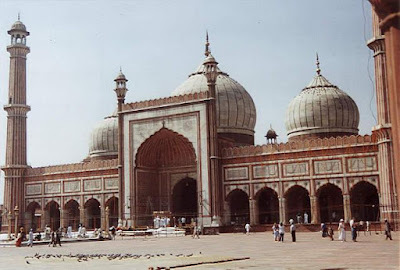 Jama Mosque or Jama Masjid is located in Chowk Bazaar near Lord Krishna Birth Place(Janmabhoomi Temple) in Holy city Mathura Uttar Pradesh.The Mosque was built in 1162 and built by by Abd-un-Nabi Khan in 1661 A.D. He was the governor of Mughal emperor Aurangzeb. 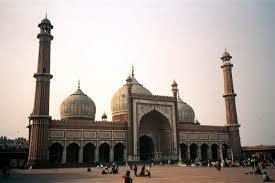 Jama Mosque(Masjid)ornately designed four minarets look completely striking. 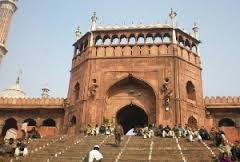 To state laconically, the imposing structure of the Jama Masjid creates an indelible impression on the mind.The Jama Masjid of Mathura is beautiful mosque that has four classic domed minarets. 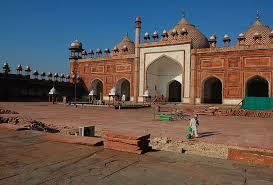 This mosque is very famous for its architectural style and intricate carvings. 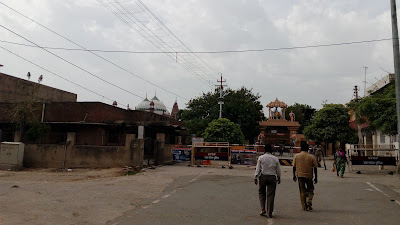 Jama Masjid of Mathura is adjacent to Krishna Janmabhoomi temple complex. There are two big tombs, one on the left and another on the right side of the mosque’s entrance. The mosque is adorned with four soaring minarets. These minarets are decorated with vibrantly colored plaster mosaic. Some of these panels exist even today. 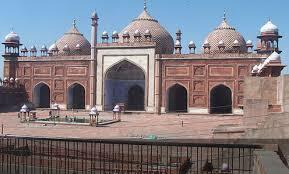 By Road : There are many public and Private Vehicles available to Reach Jama Masjid or Mosque. This mosque is easily reachable by a rickshaw, auto or other means of transport available n Mathura city. By Rail: Matura has his own Railway station so Nearest Railway Station is Mathura Junction. Mathura the land of Lord Shri Krishna's Birth Place located on bank of Holy River Yamuna and is approximately 145 kms from the capital city Delhi.Among the all Mathura temples, Krishna Janambhumi temple, built on the dungeon place of Mathura where Krishna is born is believed to be the temple of apex importance for every devotee. 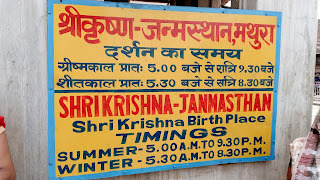 Here is Some Information about Shri Krishna Janmabhoomi(Birth Place) Temple Mathura Uttar Pradesh state of India. Built in:Thousands of years ago. Shri Krishna Janmabhoomi Temple is located near Railway station of Holy city Mathura Uttar Pradesh.The temple was built in about Five thousand years ago,but a bigger one was constructed to replace the one already in place during the reign of Emperor Chandragupta Vikramaditya. 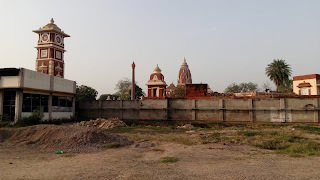 This temple was believed to be the grandest temple in all of India but was destroyed by Mahmud of Ghazni. The temple was again rebuilt in the year 1150 only to be destroyed again when Aurangzeb conquered India. 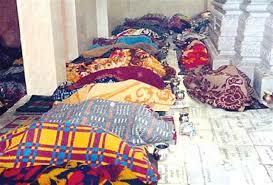 Aurangzeb did this to break the spirit of the Hindu soldiers fighting against him and built a mosque in its place. 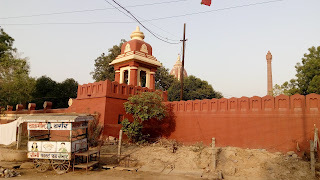 The temple that stands now is built just next to the mosque. 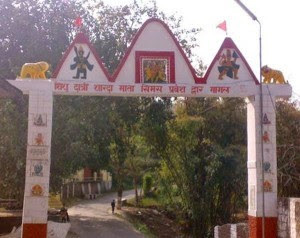 The temple is dedicated to Lord Krishna.Sri Krishna Janma Bhoomi also known as Katra Keshav Dev temple, is the actual birthplace of Lord Krishna.According to historians, the prison cell,popularly known as 'Garbha Griha', in the temple premise is the exact place where lord Krishna was born. 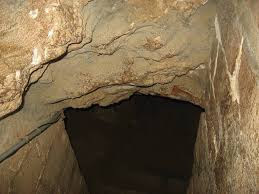 The stone walled cell is reminiscent of the cruelty of King Kansa. 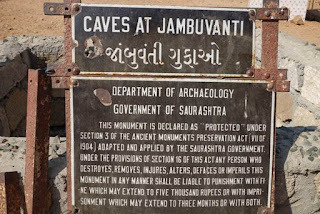 Many statues and sculptures of the bygone era were found on excavating the site. The prison cell was gradually turned into the present beautiful temple. Lakhs of devotees throng the temple during Janmashtami. The festivities and celebrations during the festival is famous all over India. Celebrations begin during mid night with the birth of Lord Krishna. 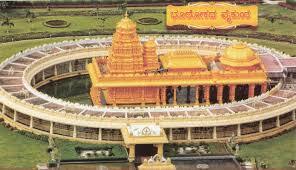 The temple here can be divided into three parts - Garbhagriha (actual site of birth), Keshavadeva and the Bhagvata Bhavan. Another temple, dedicated to the Ashthabhuja Ma Yogmaya stands near the entrance of the sanctum sanctorum. The prison cell was gradually turned into the present beautiful temple. The temple shares a common wall with the mosque and devotees have to undergo a security check. 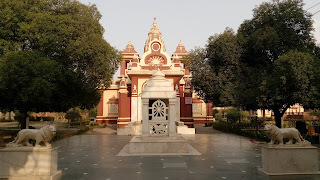 The artifacts are displayed in a museum near the main temple which is not to be missed. By Air: The Nearest Airport is Agra(50 KM). 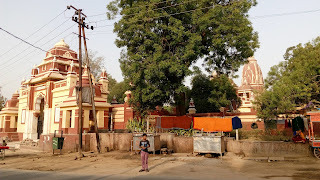 By Rail: The Nearest Railway station is Mathura Railway station Junction. By Road : There are many public and Private vehicles available to Reach Shri Krishna Janmabhoomi Temple Mathura. Vrindavan is holy land of Uttar Pradesh.There are many temples in Vrindavan.Among one of Pagal Baba Temple is very famous and beautiful temple. 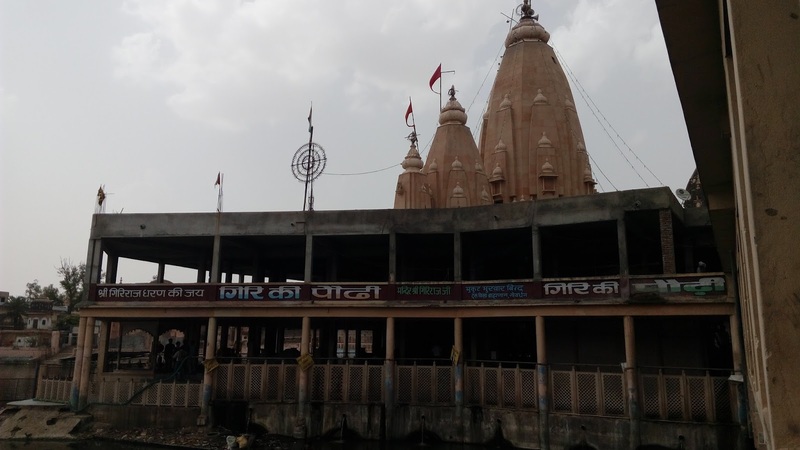 Pagal Baba Temple is an important piece of modern architecture.Here is Some Information about Pagal Baba Temple Vrindavan Uttar Pradesh. Pagal Baba temple is Located at Liladham,Mathura Road, Vrindavan, Uttar Pradesh.The temple was built in 1876 and built by Pagal Baba.The temple is dedicated to Radha Madhav or Radhe Krishna.The ten storey high Pagal Baba Temple is a landmark structure in Vrindavan.Its resplendent white exteriors are supplemented with excessively adorned interiors. The temple is famous for its puppet exhibition in the ground floor. The puppets play act scenes from the two great epics of India, Mahabharata and Ramayana. 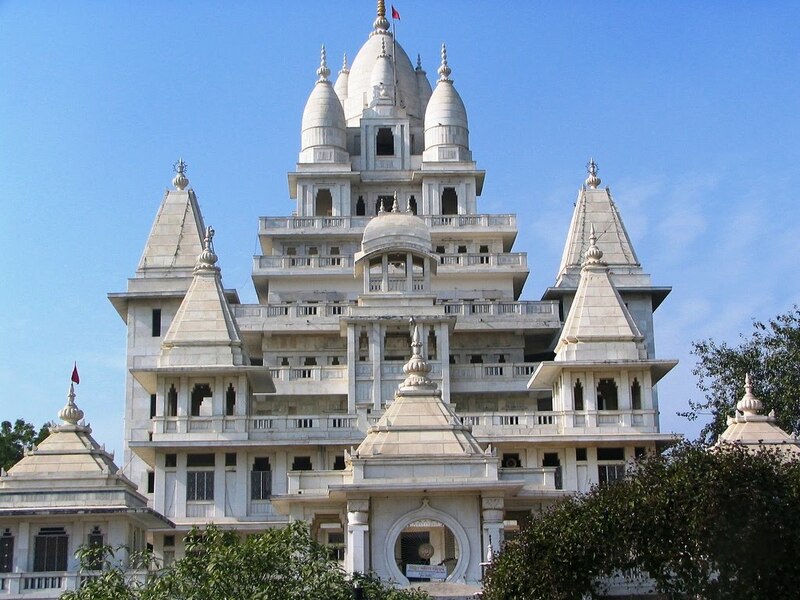 The Pagal Baba Mandir at Vrindavan is a magnificent glinting structure of white marble. 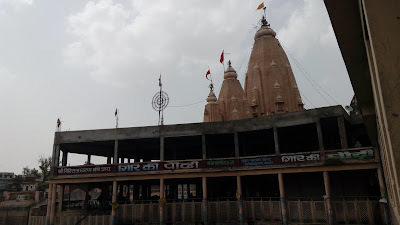 The temple with eleven storeys is an example of modern architecture. 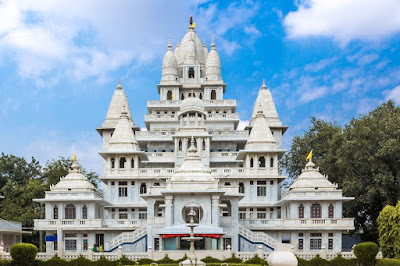 The top floor of the temple provides you a beautiful view of Vrindavan. There two main festival Janmashtami and Holi Celebrated in Pagal Baba Temple.During this festival the temple is decorated with colourful and beautiful flowers and colourful lights.Many flowers who are associated with this temple and late Pagal Baba is also induged in various forms of charity works. 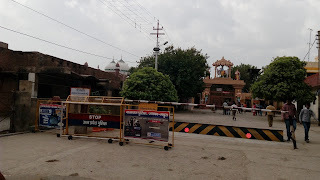 By Road: There are many public and private vehicles available to reach agal Baba Temple Vrindavan.Vrindavan is connected to Mathura and all other places of interest in Braj and many big Cities. By Rail: The Nearest Railway station is Vrindavan and Mathura Station.Several express trains connect Mathura from other major cities of India like Delhi, Mumbai, Chennai, Bangalore, Kolkata, and Agra. By Air: The Nearest Airport is Agra Airport. 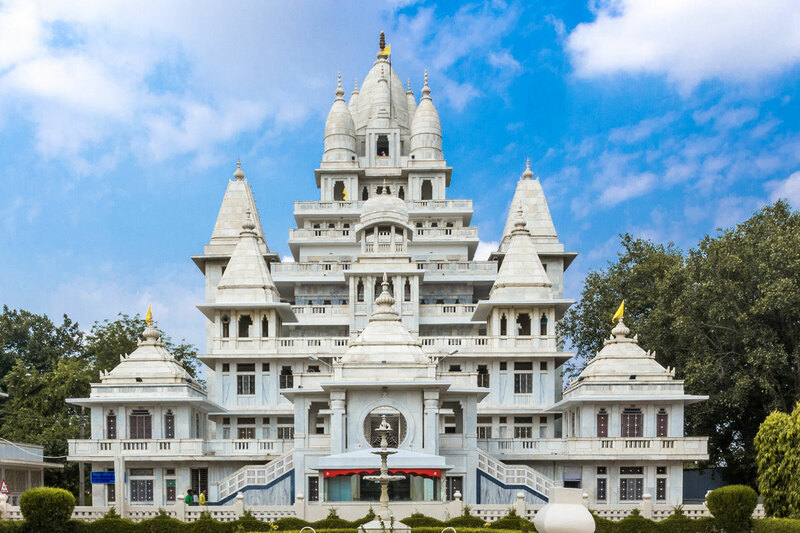 (67 KM).There are regular flights to other important tourist destinations of India such as Delhi, Mumbai, Varanasi, and Khajuraho.